I think it's easy to get caught up in the misconception of the perfect wedding and be overwhelmed by the plethora of styled shoots and destination weddings we see out there that just aren't attainable, or desired by every couple. For some, the landscape that is most romantic, the backdrop that means the most, is one that might be found commonplace to others. The point is to make it your own and embrace what is beautiful in your own eyes. Finding a photographer who can help build on this vision is essential. 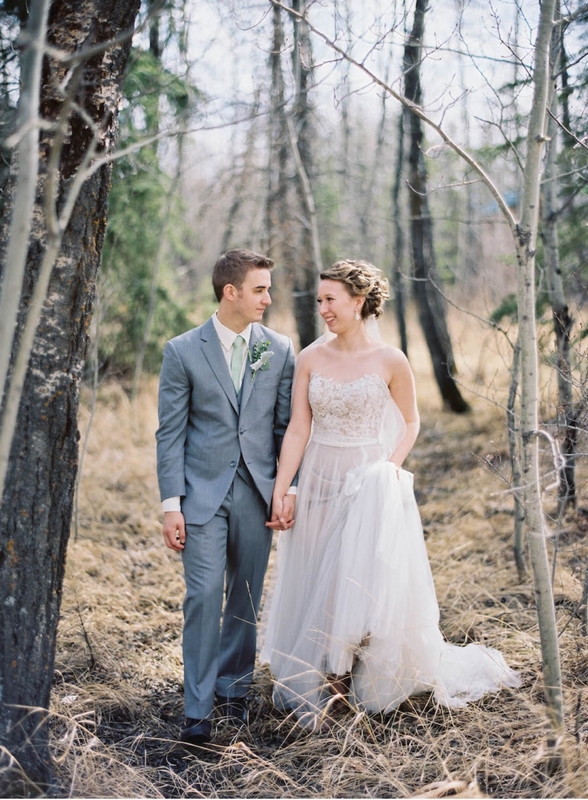 And so, Vancouver wedding photographer Jenna Hill invites us to glimpse into this wedding set in northern Alberta with portraits on the prairies under a bleak sky. No golden hour here, yet it's clear that beauty has no bounds.